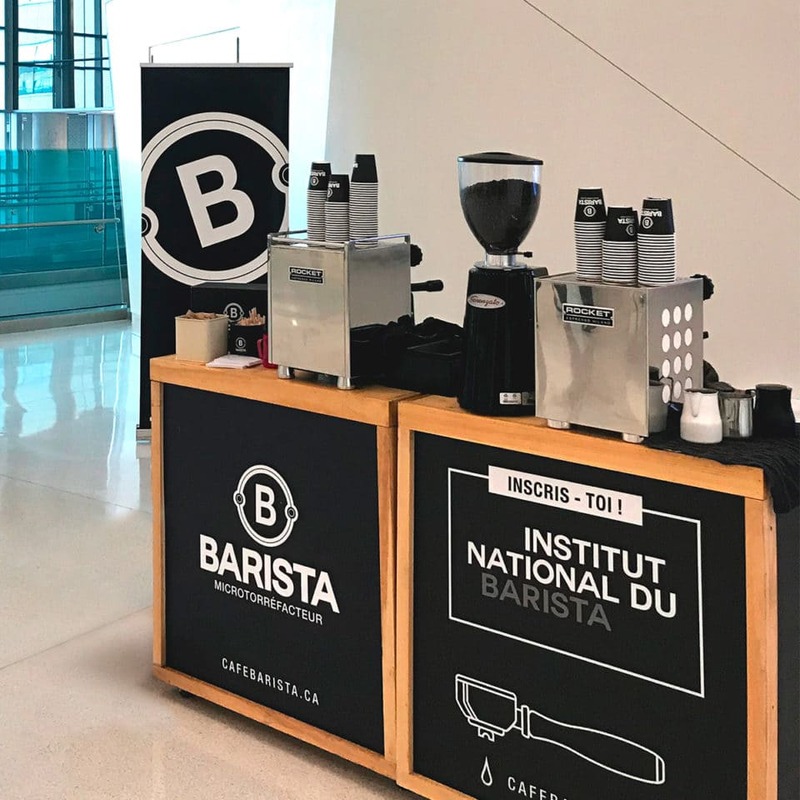 Barista’s mobile espresso bar is a key element to make your event more dynamic. The service includes a professional barista, a complete mobile coffeeshop and all we need to prepare hundreds of specialty coffee. 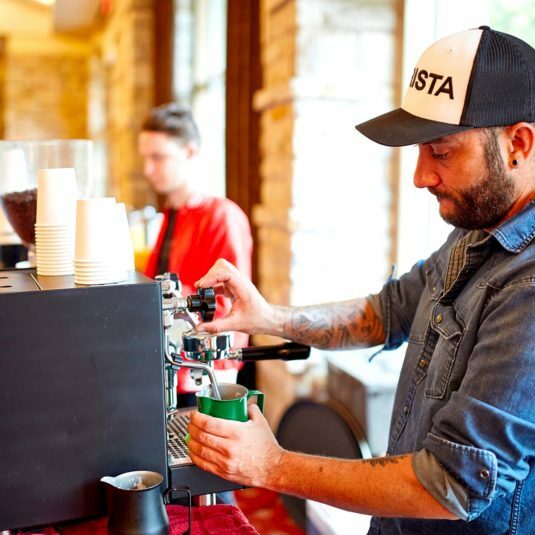 The espresso bar has been created to assure high-quality coffee availability in your event, in the simplest ways. Everything was designed to facilitate coffee service. You can choose the coffee you prefer in our espresso selection. Different taste profiles for different coffee aficionados. One thing is certain, we have the espresso for you! Giving an excellent cup of coffee is worth nothing if it’s not given with enthusiasm. 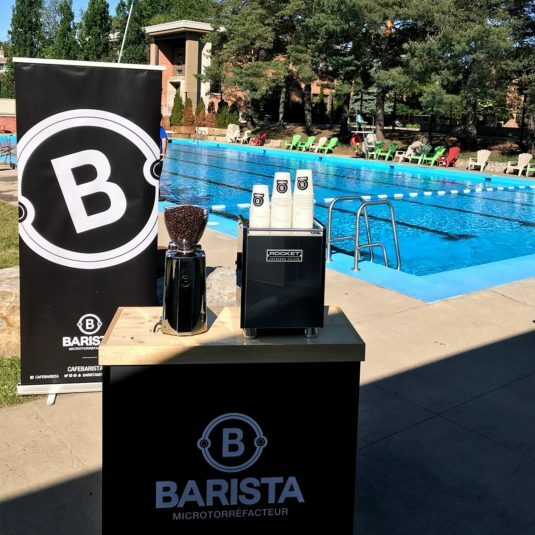 Our professional baristas are as nice as talented. The public of your event will love them! It’s customizable! 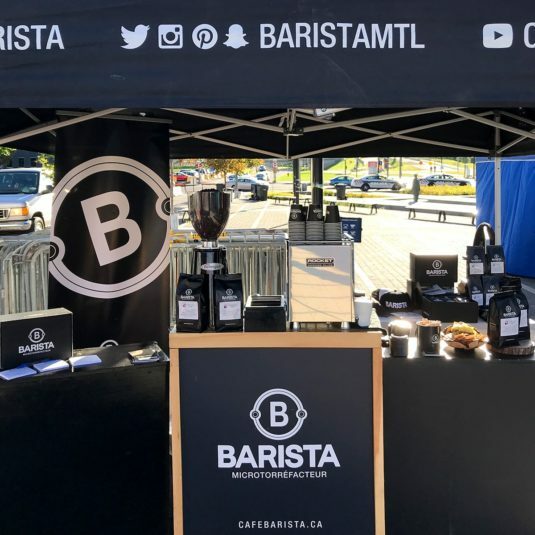 Depending on your needs and the event, the mobile espresso bar will be adapted to make sure every person can have a delicious coffee, no matter how much people there is. We take care of everything so you can focus on your event! Barista’s special event management is in high demand from corporate and sporting organizations that needs a pleasant adding to their events. The professionalism we show has brought us to many events from wide organizations including Véro & Louis Foundation, Rythme FM, Cycling Canada, Rouge Marketing ad Laurentian Bank. For promotional and large-scale events, it’s also possible to have the complete services for free. Nothing is simpler than booking the mobile espresso bar if it’s available. One call or one email to Eric, head barista and the bar is yours! 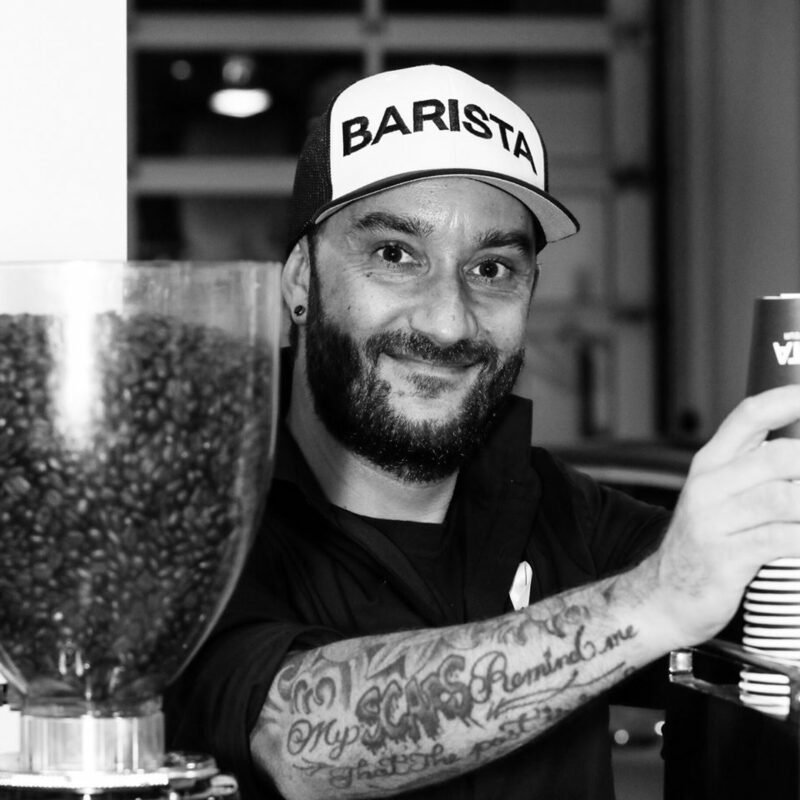 He’s an experimented barista since he had his own mobile espresso bar company before joining Barista’s team. To this day, he made more than 75 000 specialty coffees. The espresso bar is customizable, and what we serve tout. This elegant espresso bar can be ready within an hour after we arrive at your event. 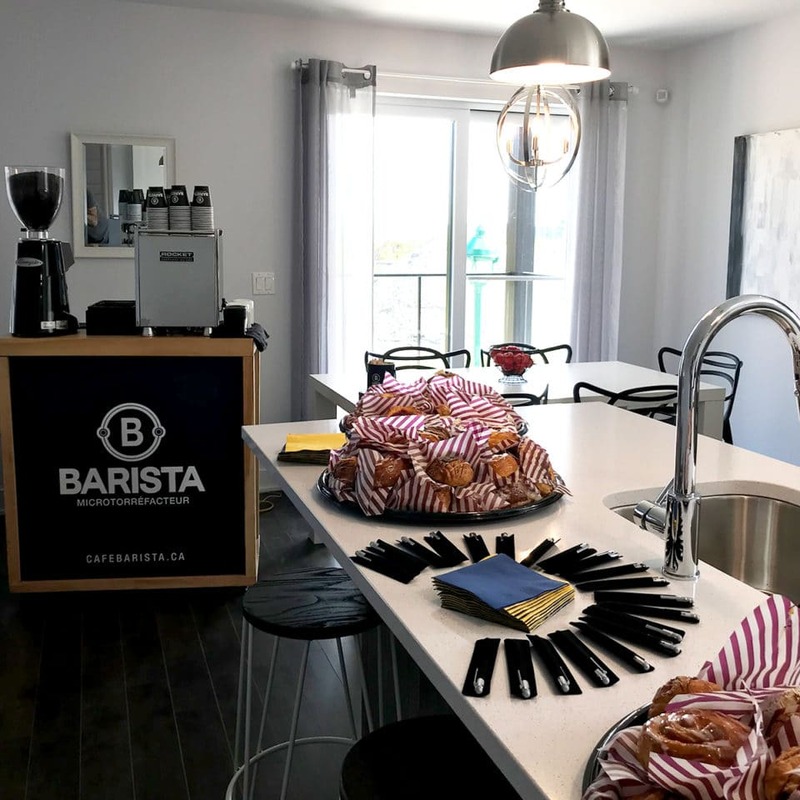 The number of Rocket Espresso machines, baristas and cups of coffee are planned for your needs. We take care of everything, the only thing we need is electricity. See you at your next event ?